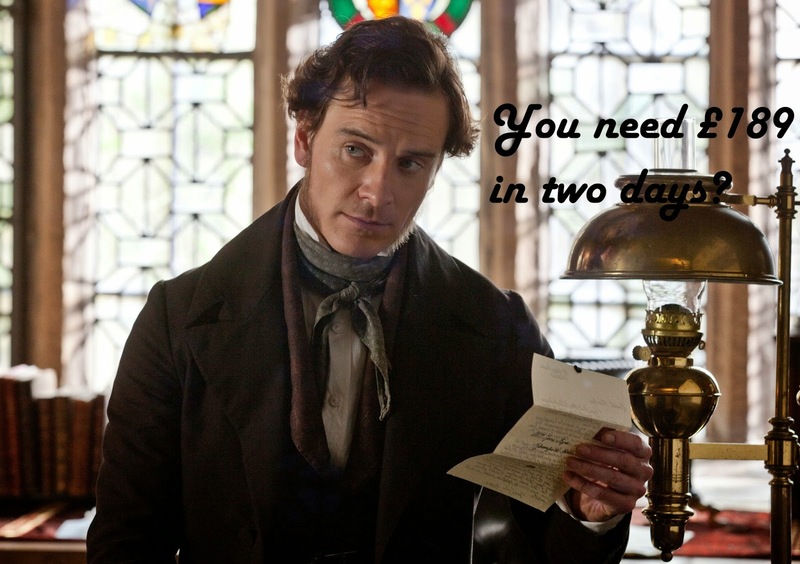 Sunday is usually Jane Eyre day, it's the perfect day to watch Michael Fassbender in all his 19th century glory! We did not receive any donations on Saturday, so it's my hopes that we receive some today, and definitely on the last day of the fundraiser on Monday. We are just £189 short of the goal, but if we were to just take in half of that, it will go a long way in helping The Bike Experience in their mission. On another note, I did some research on how common it is for fan communities to raise money for charities in honor of their favorite celebrity's birthday. I came across two to note. For one of the band members of Kiss, the fans raised nearly $6,000 for a musician program to sponsor 24/7 music in cancer patients rooms. And late yesterday on Twitter, it was announced that for Kristen Stewart's April 9th birthday, her fans raised an amazing $10,000 for Alzheimer's disease. I tweeted my congratulations to them, and my tweet as re-tweeted by about 40 Kristen fans, with an audience reach of nearly 100,000 people. The Stewart fans showed me an expansive enthusiasm that I hope this fandom has one day. But in the meanwhile, it is a small band of Fassinators who seem willing and able to participate in our fundraiser. And that would make it all the more sweeter if we could meet our goal of £1000. As you see, it is a fraction of what other fandoms have raised. No Jane Eyre for me today, because spring has arrived in The Netherlands! It is 68 degrees Fahrenheit. Love this weather, but hate the hayfever. But if the temperature was lower, I could warm myself of the great fundraiser news. Glad to see that there a lot of generous people/supporters! !